Lopa Patel is a Digital Media Entrepreneur based in London. 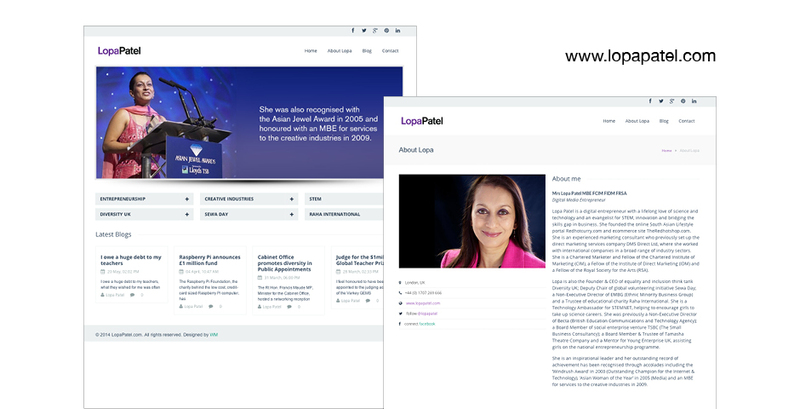 I worked with Lopa to design a website which reflected her requirements and communicate the work that she is involved in. I installed and developed the website and created the hosting account. The site was customised using HTML and CSS.